You know when you’re at a really good party and you’re absolutely sloshed? I don’t. I’ve never been drunk, not ever. I’m either that annoying friend who remembers the next day exactly what everybody did and said, or I’m that really useful friend who gives lifts home and remembers the next day where you left your car. So after a lifetime of abstinence I’ve now been able to compare the party atmospheres and the drinking behaviours in the UK and Spain – without any personal bias at all! So much has already been said about the drinking culture in the UK, and little of it is in any way complimentary. Levels of consumption are in the news this week, with new research indicating that people may be consuming twice the levels they think. Along the Costas, the Brits are sadly famous for stag parties, hen parties, football nights in big-screen bars, and the debauched behaviour that so often follows. Of course it’s not every Brit, not every hen or stag, and not every footie fan. But it leaves a taste, and sets a perception of our nation. The usual comparison is with the French. Families sharing wine with children, sensible drinking from a young age, and no fixed closing time, thus avoiding the “last orders” rush. It’s a widely-discussed model, and one that was highly influential in the decision to bring in flexible opening hours for bars in England. Then there’s Spain. Host to all those Benidorm stag parties, producer of all those wines, from the excellent down to the seriously rough, and another European country where children are introduced to alcohol earlier and within the extended family setting. The story I want to tell is about NocheViejo, New Year’s Eve 2012. A number of hotels and bars in Colmenar were doing parties, with food and festivities leading up to the TV pictures of Madrid for the all-important twelve strokes at midnight (of which more later), then music and dancing till the small hours. Having done a rather traditional British Christmas Day, I wanted to experience the full Spanish NocheViejo so booked a place at the Arco del Sol. The flier listed a welcome drink of cava and canapés, then a 5-course meal with wine. 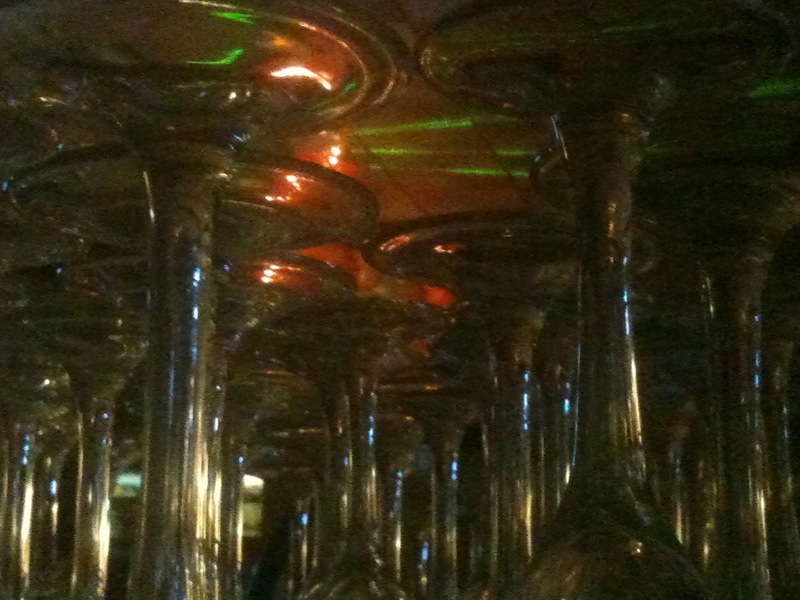 Cava at midnight, plus twelve grapes (of which more later! ), caldo in the small hours, and hot chocolate and churros before bed. Then the words that at first made no sense to me – Barra Libre (free bar). Cost for the whole lot, €35. I arrived at about 8.30 and found the two Spanish couples I was sitting with. I refused the cava and went to the bar for a juice. Antonio brushed away my money. The place was heaving – about 140 people – I wondered if he was keeping a tab for everyone, or whether my juice was simply considered a substitute for the cava he knew I wasn’t having. After generous canapés and multiple topping-up of drinks, we moved through to the function room and found our table. For five of us, there were two bottles of red and two of white. When the waitress came to pour it out and I put my hand over my glass, she immediately asked what I would prefer, and brought more peach juice. In a jug, with a separate jug of ice-cubes. The first two starter courses came. Vicente and Terese drank wine, Nati ordered beer and Juan asked for a bottle of sparkling water. The main course came. Half-glasses of wine were poured, I topped up my glass with peach juice and Nati joined me. Juan stayed on water. A much-needed gap gave us all a chance to wander the room, spot other friends, and exchange good wishes. Some people had gone to the bar – a few were on beer, others were ordering juice and water. Back to the table for pudding. Bottles of dessert wine had appeared on the table. Terese had a glass of that, Nati ordered a second beer, Vicente took some of Juan’s sparkling water, I topped up my juice. Only now did I fully understand that Barra Libre meant that ALL drinks, whatever they were, were included. Midnight approached. The large-screen came to life and the Madrid party in the Puerto del Sol became the focus of our attention. Close-up of the clock. 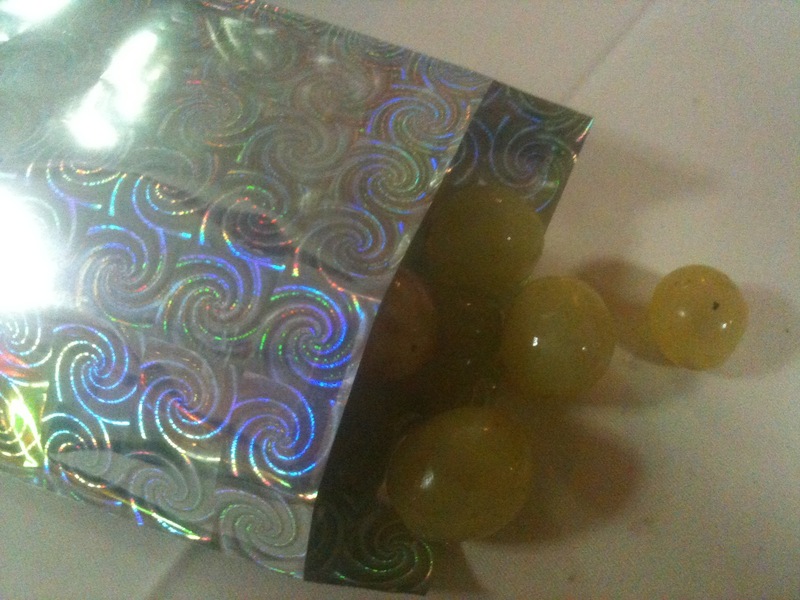 From under the tables appeared party bags – we donned masks and hats, and opened our individual bags of twelve grapes. Fresh glasses and a bottle of cava arrived on the table, with a glass half full of freshly-squeezed orange juice for me to add just a splash of cava to – very thoughtful! A sip from our glass to lubricate our throats, then we were ready for the midnight chimes. BONG! Flick the first grape into our mouths, crush it quickly, no time to chew, and try to swallow – pips and all. BONG! Another one goes in, but combines with what’s left of the first one – too much to swallow. BONG! This is impossible, I’ve got skin and pips clogging my teeth, and surreptitiously spit into a paper napkin. BONG! I’m behind, but gamely pop another in. Bleagh, nothing but pips in that one. Can’t swallow. BONG! Oh it’s ridiculous and I’m still removing pips when BONG! and another grape goes in. It feels the size of a melon. Thick skin too but BONG! and I can’t get another in. Nati seems to be swallowing them whole. BONG! Terese is doing something with her front teeth, sort of mincing each one as it goes in. Doesn’t she have any pips? BONG! I’m still chewing and picking bits of skin from between my teeth. BONG! Nati is laughing at me. Vicente struggles with a pip but coughs once and swallows it. BONG! I’m so far behind, my bag still seems nearly full. Last one coming up ….. BONG! There’s a lot of laughter but somehow the Spanish all seem up-to-speed with this torture. As the final chime fades the rest of my table are laughing at me, their mouths annoyingly clear, their bags empty. I had managed to get eight into my mouth, but am still chewing while everyone else is clinking glasses, kissing, and wishing everyone a Feliz Año Nuevo and a Buen 2013. I join in the kissing, surreptitiously depositing pips and chewed bits of grapeskin on their shoulders as I splutter the traditional greeting. This has earned me just 8 months of good luck in 2013. Is extreme grape-swallowing taught in Spanish schools? Are there after-school intensive classes throughout December? Next year I’m pre-preparing my own grapes – small, green, seedless, and possibly already peeled. Toasts all round, and five of us had drunk half a bottle of cava. We offered the remainder to the next table who were younger and sounded a little merry. They refused – they hadn’t finished their own. The New Year Cake came round. More cava was on a trolley for anyone who wanted it. The serious stuff from the bar was also wheeled in – all the spirits, a range of sherries, and some beers. It was staffed by one of the waiters but he was hardly under pressure. Four or five people strolled up for a glass of something. A larger number headed for the bar, returning with bottled water. At around 3.30am there was a surge towards the trolley. It reminded me of the “Last Orders” call. Ah, at last I was seeing the Spanish trying to take advantage of the Barra Libre! Nati grabbed me and pulled me quickly to join the rapidly-growing queue. But no, not alcohol – what had caused the rush was the arrival of cardboard cups of caldo, chicken stock to lower blood alcohol levels. I’d only had a sip of cava at midnight but took the caldo anyway. My first NocheViejo, I wasn’t going to miss out on a single bit of this experience! The spirits trolley remained. Somebody asked for a small beer. Finally the smell of hot chocolate filled the room. This was brought round to the tables with plates of churros for dunking. It was 4.30 in the morning. The waitress offered to take any last drinks orders. At another table an elderly lady asked for a shot of anis. She may have won the “Last One Drinking” award, except that what was most obvious about the evening was that nobody was competing, nobody was counting, nobody was comparing. The Free Bar had run from 8.30pm till 5am yet nobody was drunk, nobody was loud, nobody was out of control. Nobody had taken advantage. I don’t need to say much about how this might have played in yer average English bar. You can picture it for yourself. Competitive drinking followed (probably) by competitive vomiting. It’s taken me till February to write up this event because I found it quite thought-provoking. I didn’t want to write it while I was still in the mood of negative comparison. 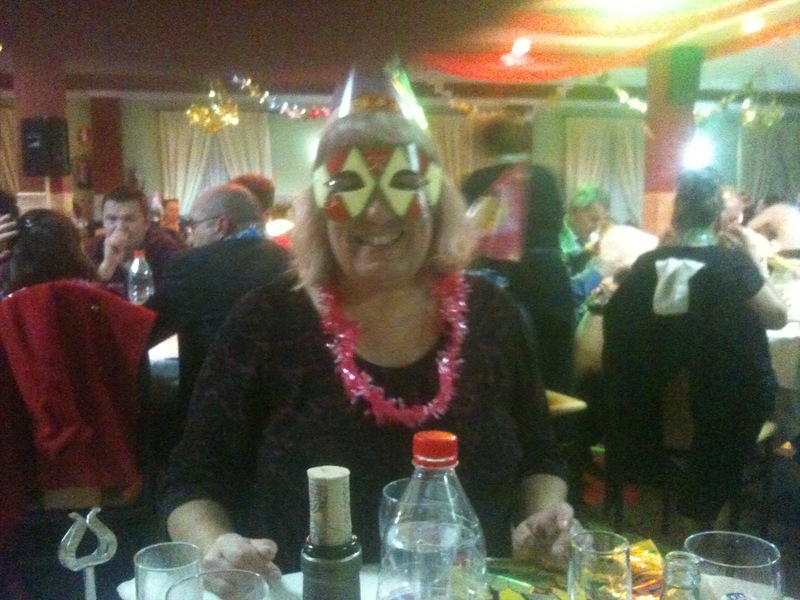 There’s still a bit of that, obviously, but I wanted to focus mostly on the experience of my first Spanish new year. I made some good friends that night. I moved on from a year that had been difficult and into a new one which holds yet more changes for me. 2013 cannot have the sadnesses of 2012 but is not mapped out at all ….. it will unfold and bring many more new experiences. I just wish I knew which eight months will be my lucky ones, and which ones I’ve doomed by not having been on the grape-swallowing course. 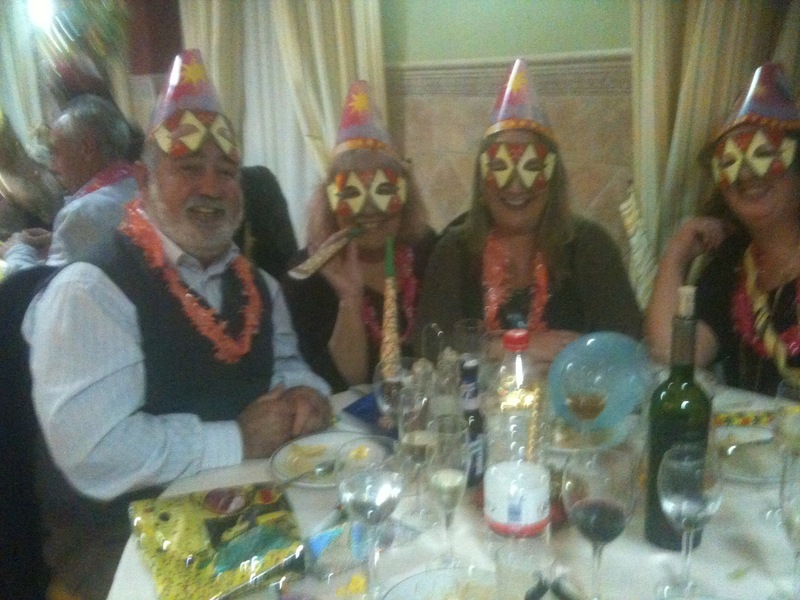 This entry was posted in Spain and tagged Andalucia, Axarquía, Colmenar, NocheViejo, Spain, SpanishBlog, Tamara Essex by tamaraessex. Bookmark the permalink. I have loved reading your blog. I only discovered it this morning through Digame and have read it all now. I now wait for the next instalment. Brilliant! Gosh thanks Yvonne – what, all 45 installments? There must be a medal for that kind of commitment!!! Just had to because it had so many parts I could relate too, made me feel quite homesick for my little house, especially the one where your road was dug up, oh such joy! In competa there is always some calle or other they dig up for the summer, I think it’s just to give the tourists an assault course!